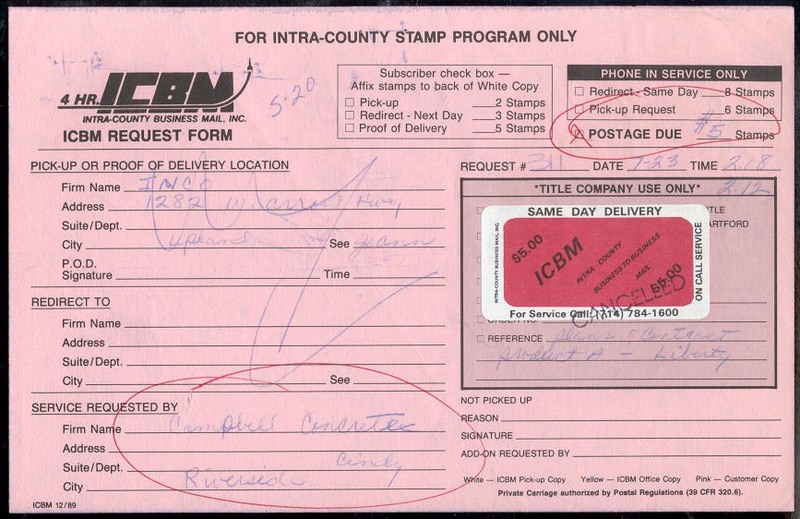 Beginning in the late 1980s Intra-County Business Mail, Inc. began a private delivery service in the Los Angeles area. 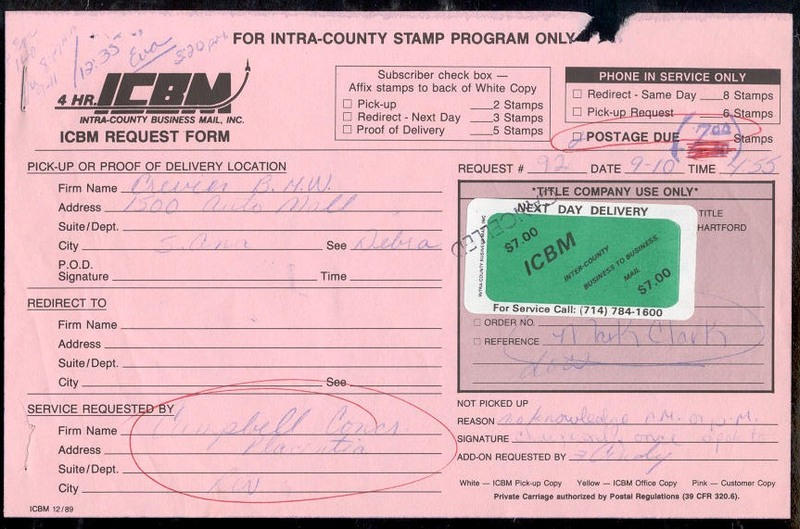 To the best of my knowledge, ICBM only delivered "mail" from a business to a business and used stamps to confirm payment for its services..
Mint stamps, printed in red and black have the same telephone number to call for more information. 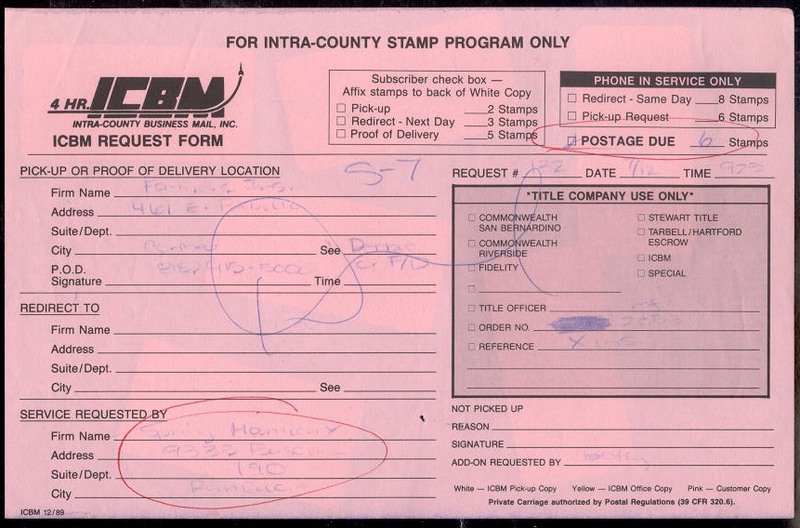 A typical form used to track pick-ups or to confirm delivery. 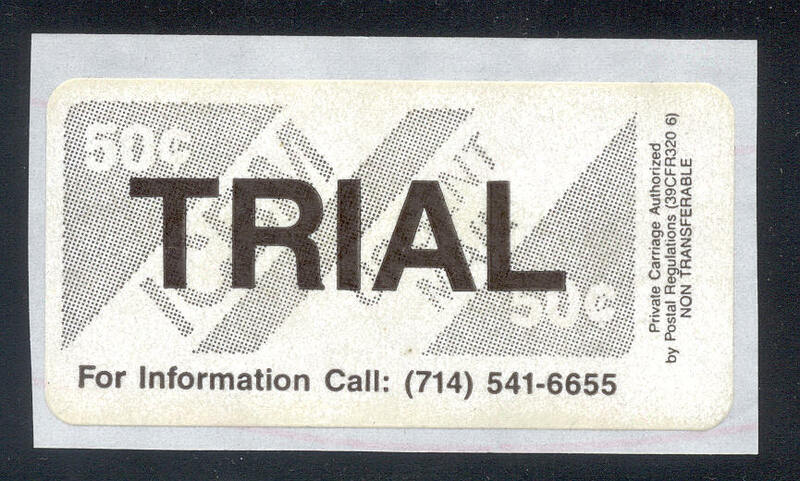 The back of the form shows the six stamps referred to on the front of the form. 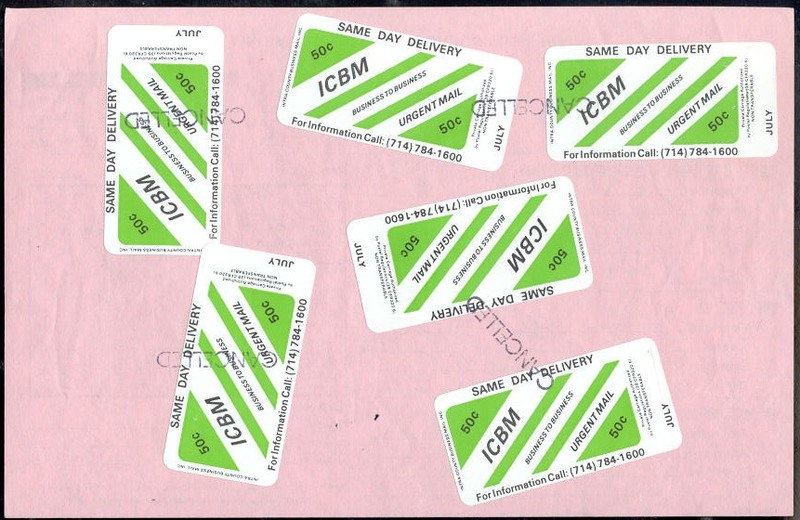 These 50¢ stamps were printed in green and black and were specified for use in the month of July. 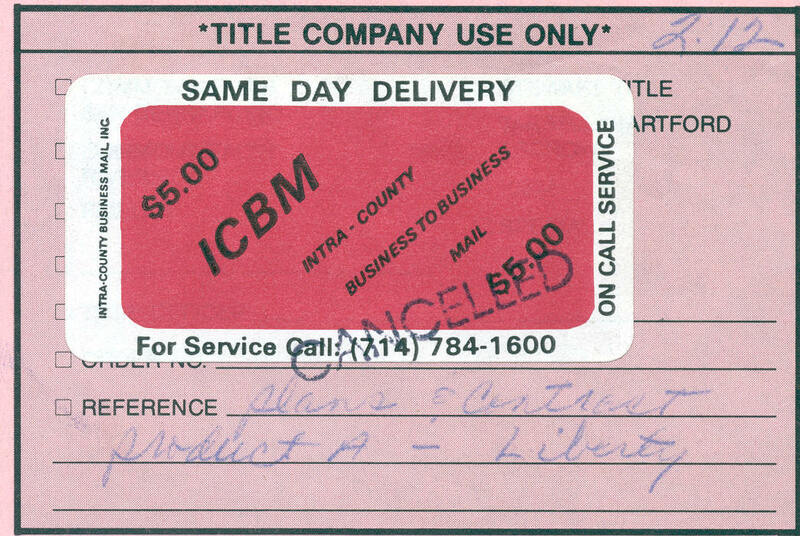 A new telephone number has appeared on these used examples. 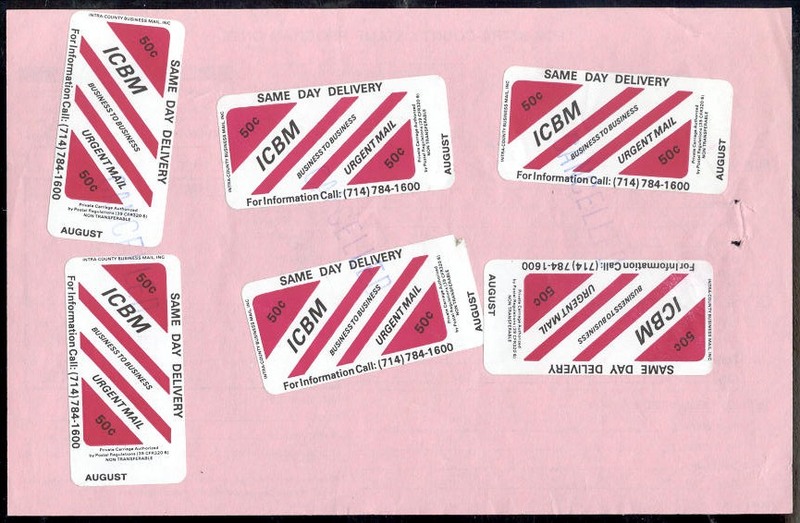 Two similar forms, this time having different colored stamps for use in August and September. 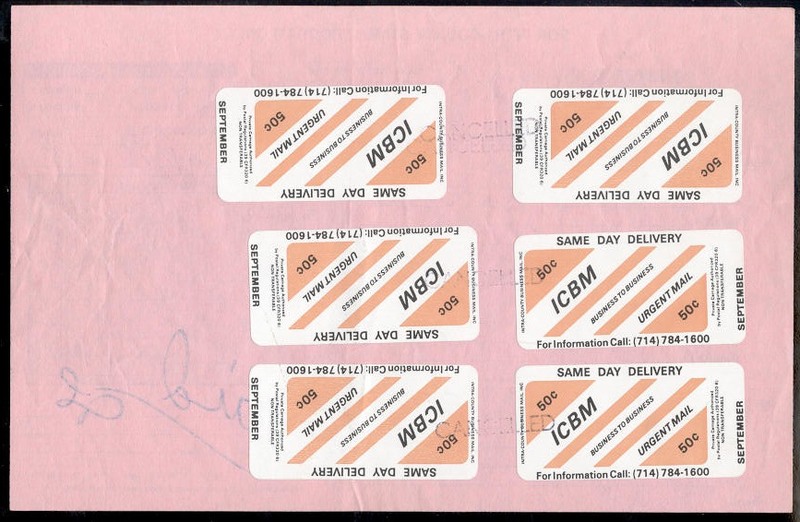 a $7.00 stamp inscribed NEXT DAY DELIVERY. 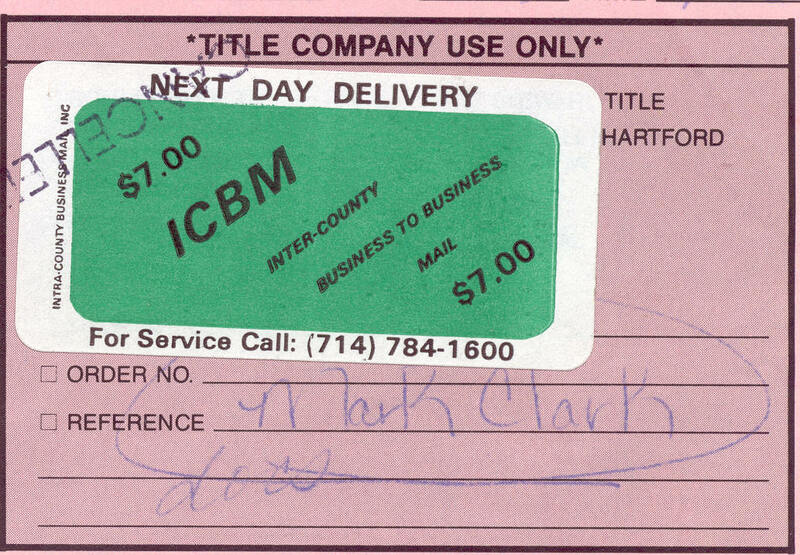 I have no information as to how long the ICBM service lasted, or the costs of different types of service. 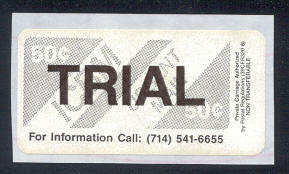 I would appreciate any information you might be able to share.